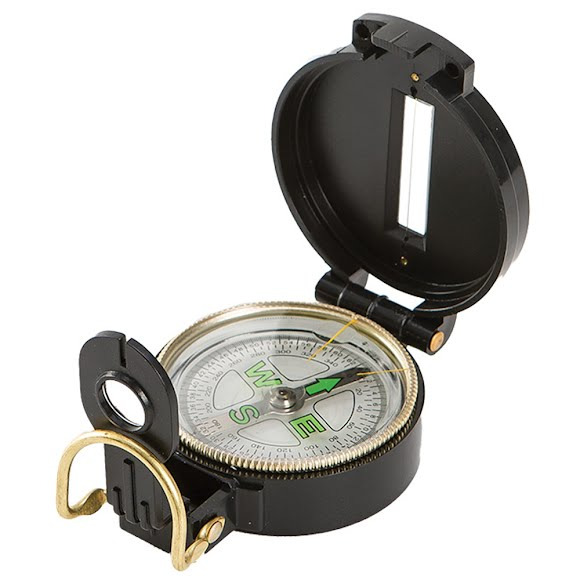 Easily navigate, even at night or on the way to your stand in the early morning hours, with The Allen Co's Lensatic Compass, a dependable compass with a high impact, lightweight outer body and a luminous dial. The compass also features a fob attachment to keep the compass easily accessible on your lanyard. Great for hunting, hiking, teaching, and to keep with your survival gear. Easily navigate, even at night or on the way to your stand in the early morning hours, with The Allen Co &apos;s Lensatic Compass, a dependable compass with a high impact, lightweight outer body and a luminous dial. The compass also features a fob attachment to keep the compass easily accessible on your lanyard. Great for hunting, hiking, teaching, and to keep with your survival gear. Great compass for a great price. I`ve found some great buys at Bob Wards.